Ever since Ford introduced the modern Shelby GT500 four years ago, almost no one has complained about the prodigious power levels produced by its supercharged 5.4-liter V8. With as much as 540 horsepower and 510 pound-feet of torque in the 2010 model, there was no shortage of grunt. No, the issue was an excess of mass. Before the contemporary GT500 was born, Ford had a blown aluminum block 5.4-liter V8 in the short lived GT supercar. However, when the engineers at Ford’s Special Vehicle Team developed the GT500, they opted to mount the GT’s cylinder heads on the cast iron block used in the big F-Series pickup trucks. After debuting a visual refresh for the Mustang a year ago, Ford has spent the last two months announcing fresh new powertrains for the base and GT models. 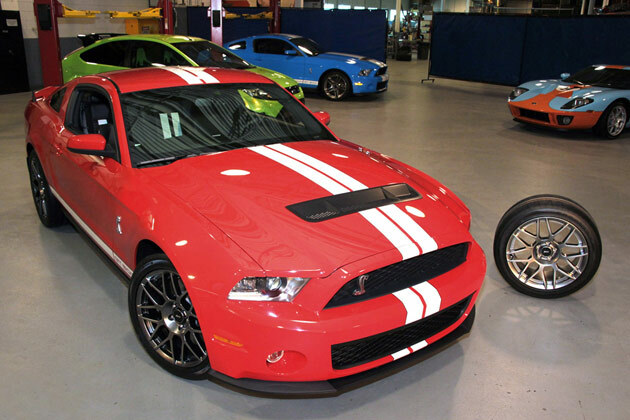 That process has now come full circle with SVT rolling out a heart transplant for the Shelby GT500. The 2011 model finally has the aluminum powerplant we all wanted when it debuted, and the effect is absolutely en-lightening.